They didn't survive the fire. Who knew that a garage fire would rip off the coating...engines produce more heat than a forest fire don't they? Anyways....want to buy another set but there are more options available now. Should I buy the bare black ones and have them sent to get coated again or should I get them ready coated from Hedman themselves? Frankly if the finish and coating holds up from Hedman, no problem...but QA tells me they do a cheap and rush job to mass produce them and out the door. I agree with you for sure. 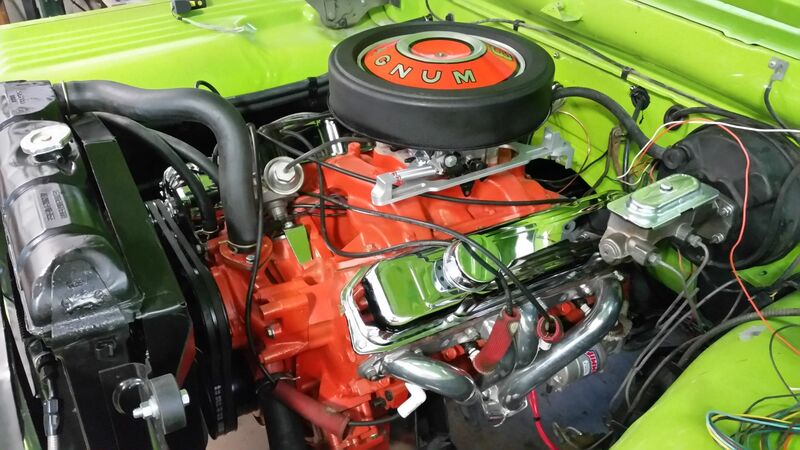 We just broke in the 383 in my 68 D100 & the Hedman (over $400) shorty ceramic coating isn't as shiny now for sure. Didn't thnk the temp was too high, but even as nice as their quality & ft is, the coating is dfferent. Maybe should've broke it in with old headers?